This Cheesy Rosemary Mashed Potato Casserole may be the best mash you’ll ever eat. It has everything you want from your favorite side dish, creamy, cheesy, full of rosemary flavor with a crispy topping. This is recipe #3 in this weeks complete holiday dinner series. 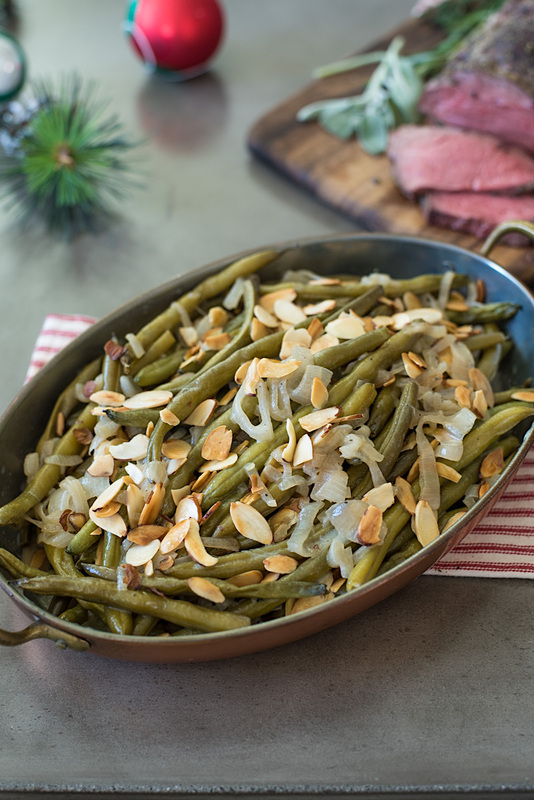 In case you missed them, I’ve already published slow cooker green beans with shallots and almonds and the star of the table, herb roasted beef tenderloin. I don’t really know where to start talking about this casserole. I do know I ate too much of it before I sat down for my meal and I do know that any holiday dinner, whether it’s Thanksgiving or Christmas, really good mash is mandatory. The key to really soft and creamy mash is first, you have to mash really well. If there are any lumps, well, no mash really should have lumps. I live by my ricer for mashed potatoes. if you haven’t seen a ricer, it’s like a giant garlic press. You can see it in the video below. This is the perfect dish to take some help from prepping ahead. You can make this a couple of days before your holiday dinner. Make up to the point of baking but don’t add the panko and Parmesan. Cover and refrigerate until ready to bake, add the toppings then as directed in the recipe. How easy was that? If you’ve tried this Cheesy Rosemary Mashed Potato Casserole recipe or any other recipe on the blog then don’t forget to rate the recipe and let me know how you got on in the comments below. I love to hear from my readers! You can also FOLLOW ME on FACEBOOK, TWITTER, INSTAGRAM and PINTEREST to see daily recipe updates. 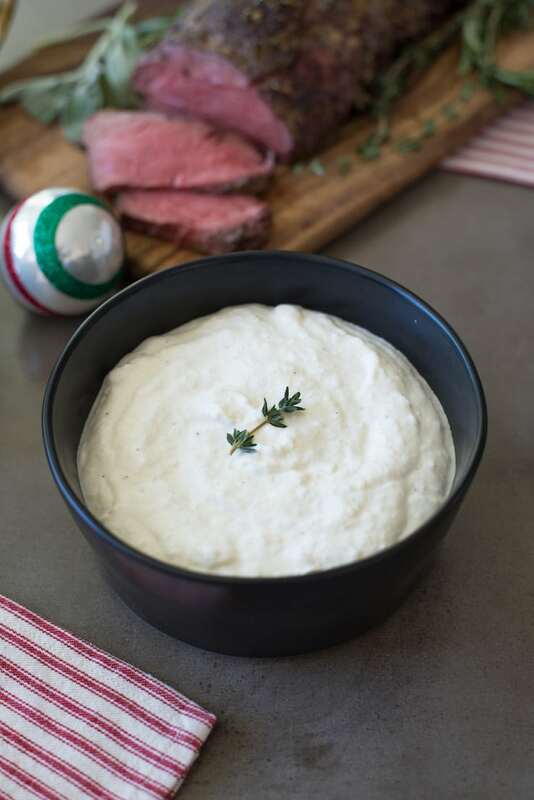 Mashed potato with fresh rosemary and cheese is soft and creamy. 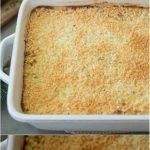 Topped with breadcrumbs and Parmesan then baked. Add the potatoes to a large pan and cover with water. Bring to a boil, add the 2 tablespoons salt and simmer for 15 minutes until tender. Drain and add to a large bowl. Preheat oven to 375°F. Butter the inside of a 9 x 13-inc casserole dish. Add the cream, butter, cheeses, rosemary and pepper. Stir until combined and the cheese is melted. Taste and add salt if needed (I did not since I added it to the boiling water as well as the cheese are salty). Pour the mash into the casserole dish and spread evenly. Mix the breadcrumbs and Parmesan in a bowl. Sprinkle an even layer of breadcrumbs and Parmesan cheese on top of the mashed potato. Bake for 30 minutes until the top is golden.